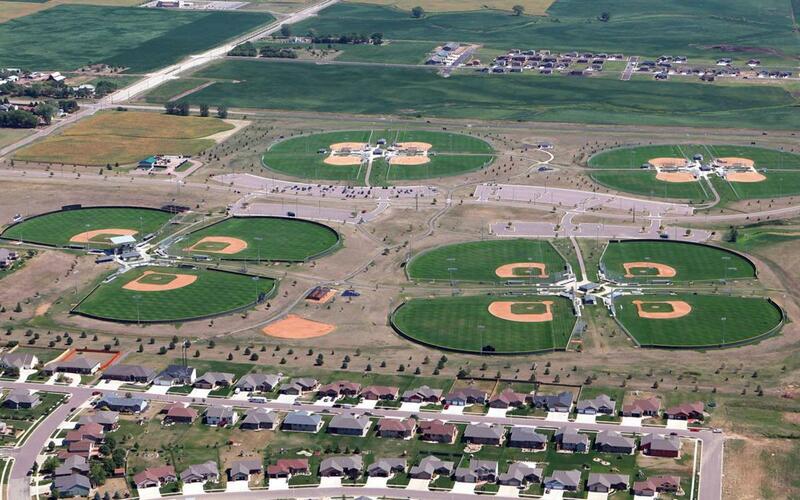 South Dakota’s largest city provides diverse tournament facilities for youth, collegiate, and adult amateur games. 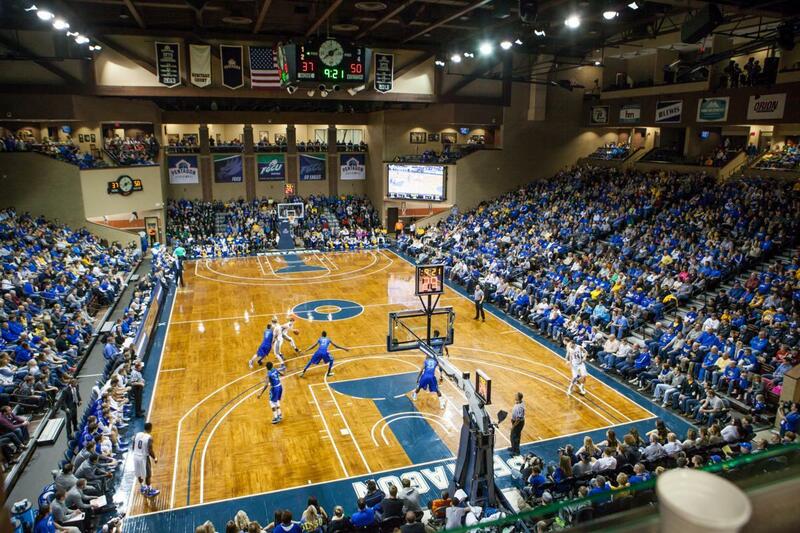 The Sanford Pentagon is premier venue for basketball, volleyball and more. Sioux Falls, South Dakota is the perfect example of a quaint Midwestern destination full of big city amenities and entertainment. When it comes to sports tournaments in particular, organizers can expect support from the whole city in all aspects of the game. 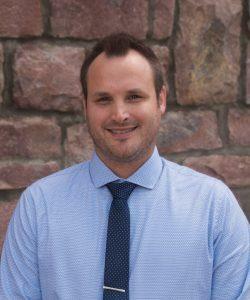 Even before arriving on-site, the Sioux Falls Convention and Visitors Bureau (CVB) ensures collaboration with community officials and venue staff. You can also receive assistance when it comes to lodging accommodations and entertainment suggestions. To experience this firsthand, planners are encouraged to come on a complimentary site visit to tour the facilities that are a potential fit for their event. You will be pleased at not only the number of sports complexes, but the quality of hotels and family-friendly attractions as well. Additional services the CVB offers includes booking incentives, attendance building ideas, media assistance and securing volunteers. Friends, family and fans can also download the Visit Sioux Falls app to enhance their experience and extend their trip. 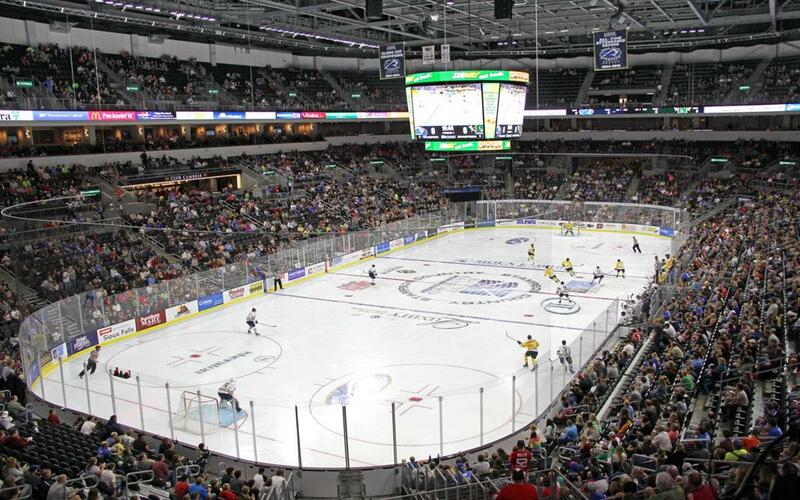 As a result of these magnanimous efforts, Sioux Falls has a proven record of hosting sellout sports events regularly. The Denny Sanford PREMIER Center has continued to increase in popularity as a sports and entertainment venue in only four short year of existence. This premium space for tournament organizers includes courts with high-definition wall-displays, an LED lighting/video display system, center-hung scoreboard, ribbon-displays and seating for approximately 12,000 people. 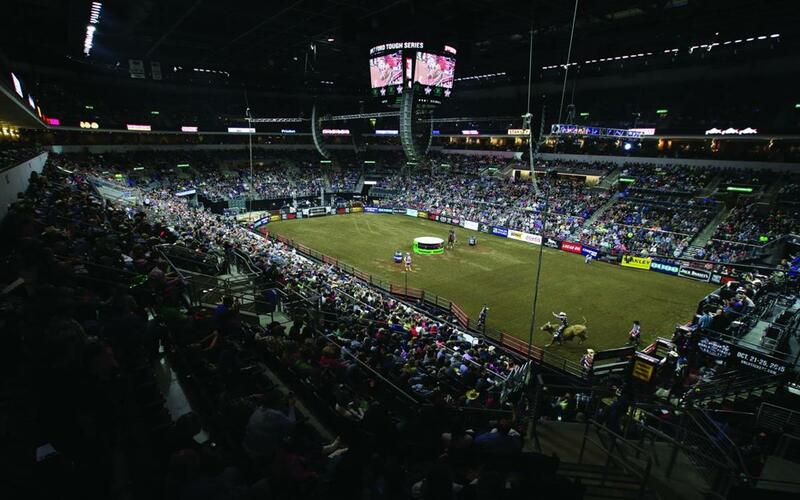 The PREMIER Center is accustomed to hosting all sorts of events regularly, such as The Summit League Men’s & Women’s Basketball Championships (which it maintains a tradition of hosting) and the Professional Bull Riders Built Ford Tough Invitational and the NCAA Division II Wrestling Championships. When it comes to concerts past performers include Elton John, Carrie Underwood, Metallica and a record nine Garth Brooks concerts in a row. Dedicated to sports and health, the Sanford Sports Complex will help your athlete become a well-rounded individual. The complex includes the Pentagon, Fieldhouse, Scheels Ice Plex, Huether Family Match Pointe, Power and Grace Gymnastics, and junior football park. The 500-acre complex is conveniently located just five minutes from the PREMIER Center and also includes a restaurant and hotel on-site. The Fieldhouse is 85,000 square feet, 62,000 square feet of which is field turf that can accommodate up to four sports at a time and onsite training capabilities. 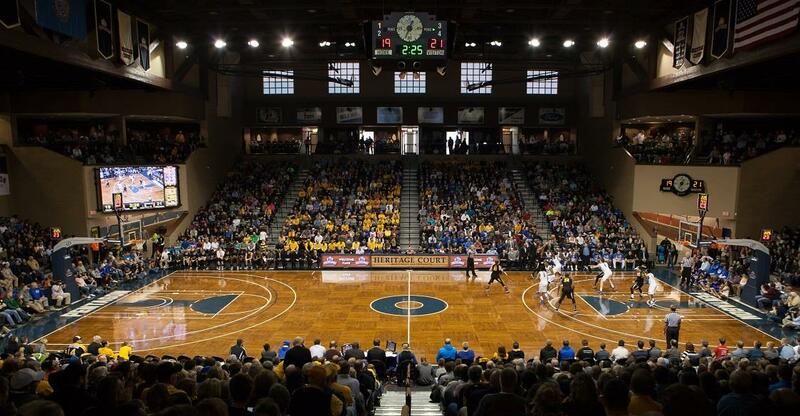 The Sanford Pentagon is 160,000 square feet that can host up to nine basketball or volleyball games at one time. The Heritage Court seats 3,250 people with suites and all the concessions, locker rooms, and amenities premier events require. The three-sheet ice plex and six-court Match Pointe tennis facility also offer elite venue hosting opportunities. The Sanford Pentagon is the cornerstone of the Sanford Complex, totaling 160,000 square feet for various sports. This large venue can house nine basketball or volleyball courts. The Pentagon’s heritage court features designs inspired by the 1950s/1960s and seats 3,250. Among its other courts are two professional/college size and six high school regulation courts. Come out to the Pentagon for its highly competitive events throughout the year, including NCAA basketball and volleyball, Bellator MMA Fights, NBA D-League Sioux Falls Skyforce, and more. Additional amenities include state-of-the-art scoreboards, executive suites, locker rooms, and concessions. 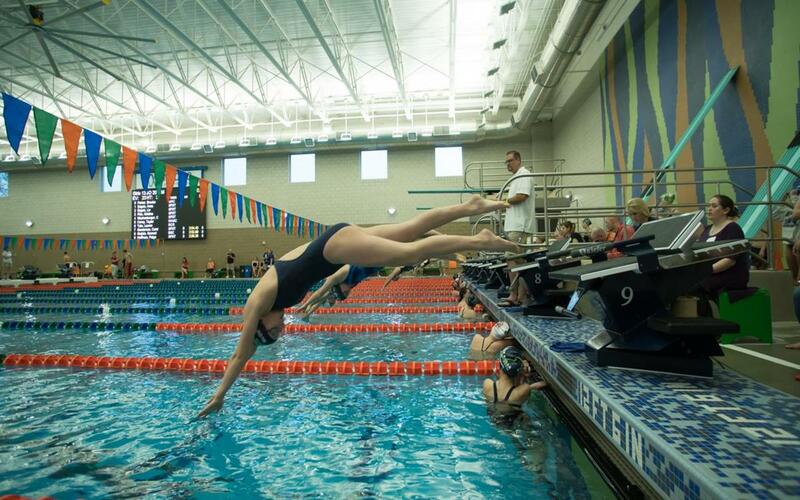 Aquatic athletes will love making a splash at the Midco Aquatic Center. Here, athletes can complete their laps in an Olympic size 50-meter pool, accompanied by four diving boards, a basketball hoop and a warm water pool for relaxing after the meet. Locker rooms are available to store all your belongings. Spectators will enjoy the view from the mezzanine, seating up to 500 people. When it’s not competition day, have some fun in the recreation pool, equipped with slides, a hoop, dumping bucket, and more. Host your next party for 30-80 people in any of the center’s meeting rooms. Each is complete with AV assistance and a large screen TV, perfect for movie nights or catching your favorite professional athletes in action. 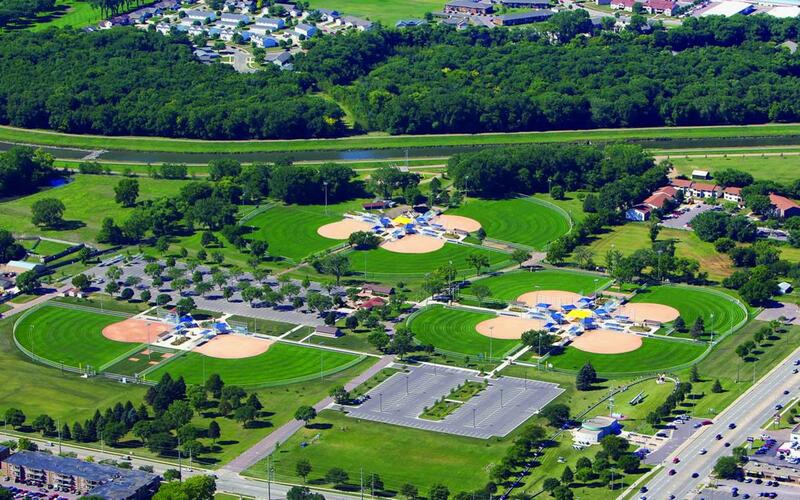 Yankton Trail Park is home to athletic grounds as well as a piece of Sioux Falls’ history. 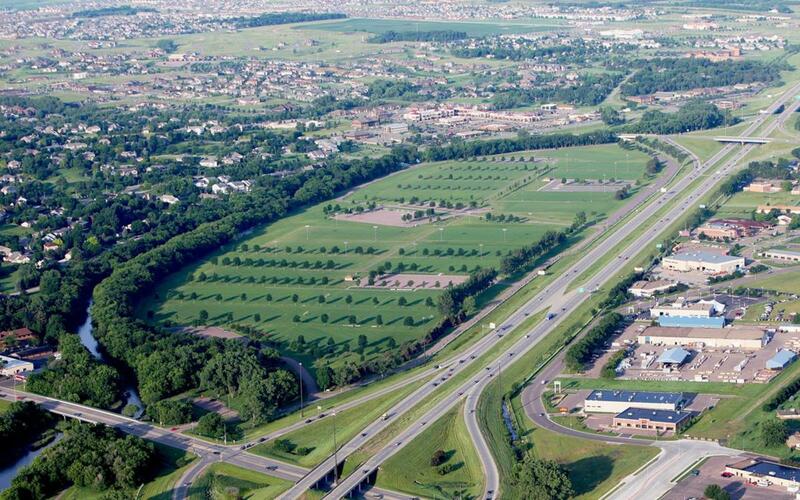 The park once belonged to a German immigrant who built a 500-acre farm. His sons then used that farm to serve soldiers at Sioux Falls’ army base. Now, visitors can tour the area and host their events on the park’s league soccer fields. Bikers can train and compete on the bike trails. Restrooms and water fountains are dispersed throughout the park. Soccer teams will love taking a photo at the giant statue of a soccer ball, commemorating the sport. Now, visitors can tour the area and host their events on the park’s 21 soccer fields. Sherman Park is known for hosting premier softball tournaments. It’s also home to a hockey and ice skating rink in the winter and soccer practice fields. Spearheaded by affluent local resident Helen McKennan and her friend E.A. Sherman in the early 1900s, the park has grown from barren lands to become a beautiful sports venue. There are nine agri-lime lighted softball fields, a championship field that seats 340 and bleacher seating for 225 at all fields. Additional amenities include: sound and scoreboards, restrooms, concessions, covered dugouts, electrical hookups, picnic shelters, and 530 free parking spaces plus overflow. Take a swing at Harmodon Park, the premier destination for baseball and softball games. This facility is 15 minutes from Yankton and 20 minutes away from Sherman Park. There are eight agri-lime lighted softball fields and seven agri-lime lighted baseball fields. Each field is fenced to allow for multiple games, and batting cages are located on-site to keep up with training. The championship softball field seats 234 and the championship field for baseball seats 1,000. Amenities include: sound and scoreboards, restrooms, locker room, batting cages concessions, covered dugouts, electrical hookups, picnic shelters, and 890 free parking spaces. No group visits Sioux Falls without exploring these attractions. One of these is Falls Park, which is among the first Native American settlements in the Midwest. Totaling 123 acres, Falls Park features walking trails, a horse barn, and historical ruins. During your walk along the trail, see how many of the park’s permanent sculptures you can spot, then dine at the cozy Falls Overlook Café. Outdoor enthusiasts will also want to visit the Great Plains Zoo & Delbridge Museum of Natural History for a look at nature’s captivating wildlife. Adventure to five large exhibits and view over 1,000 animals, such as snow monkeys, lions, zebras, tigers, giraffes, flamingos, and bears. The museum houses the remains of about 150 animals and tells the story of their evolution through interesting dioramas. The action never stops when you continue the trip to Wild Water West. All you need at this top-ranked water attraction is one pass to get you on water slides, the lazy river, mini-cart, and go-karts. As you peruse the city’s outdoor venues, visit Downtown Sioux Falls – SculptureWalk. This area houses a plethora of stores and local restaurants. But unlike other shopping districts, Downtown Sioux Falls boasts a magnificent sculpture collection, the largest collection of this kind in the nation. Then, revel in live performances at the Washington Pavilion. This vibrant performing arts center combines learning and entertainment with more than 100 interactive exhibitions and a grand theater. By Car: Drive to the city by taking the I-29 or I-90, two major interstates connecting the entire country. Once you’re in town, Sioux Falls is about 15-20 minutes away from most sports facilities and attractions and offers a quick travel option via I-229. By Air: Out-of-state travelers can access Sioux Falls from the Sioux Falls Regional Airport, also referred to as Joe Foss Field. This airport provides airline services with connecting flights to more than 200 U.S. cities, including Denver, Phoenix/Mesa, Los Angeles, Orlando, Minneapolis, Dallas/Fort Worth, Clearwater/St. Petersburg, and Las Vegas.